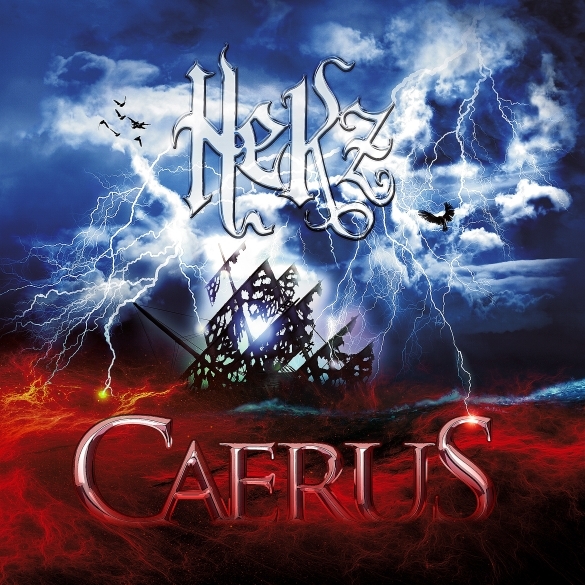 London, UK – Prog Metal is alive and well in the UK with HeKz’s exciting new second release titled CAERUS! Drawing influences in equal parts from heavy metal legends and prog rock luminaries, HeKz seek to take the original progressive metal blueprint and rewrite it for themselves. As ever, the song is king, a trait which sets them apart from many of their peers. HeKz’s debut album TABULA RASA laid a firm foundation, and now follow up effort CAERUS sees the band striving to fuse the two contrasting elements of their sound to produce something truly unique. The familiar cornerstones of the band’s style are still present; the commanding vocal delivery of Matt Young and the characteristic twin guitars of Al Beveridge and Tom Smith are this time augmented by the addition of James Messenger’s swirling synths and chunky Hammond, all kept in line by the tasteful and precise drumming of Kirk Brandham. CAERUS is an album of firsts for the band, most notably it marks their debut as a five-piece, alongside a supporting cast of guest musicians including renowned cellist Audrey Riley. This sophomore album is also the first from HeKz to receive a label release, as it will be coming out on the band’s own BMH Audio label via Cherry Red Records. Featuring 9 new original tracks, CAERUS will be supported with widespread touring by the band. This entry was posted on Thursday, November 6th, 2014 at 11:49	and posted in HeKz, Press Release. You can follow any responses to this entry through the RSS 2.0 feed.